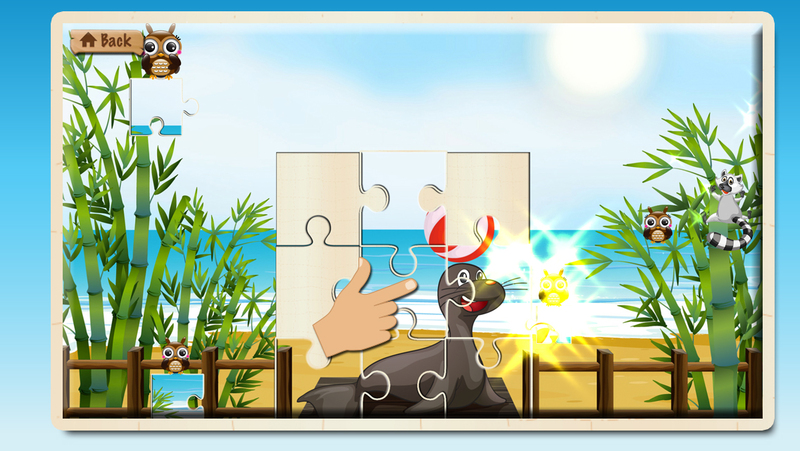 An intuitive operation turns this puzzle into a special highlight and a real gaming experience for your child and you get all this without any advertising. 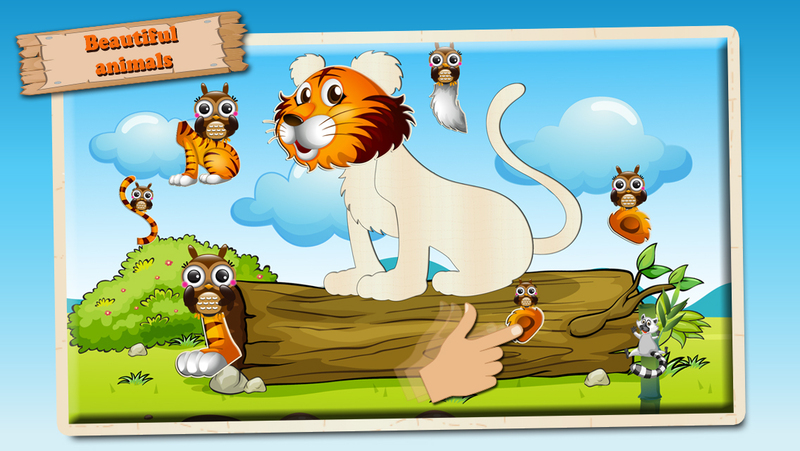 In the Lite version, you can play the first four puzzles free of charge. * One-off payment for each In-App Purchase of the complete version. No hidden costs, no advertising and no subscriptions! 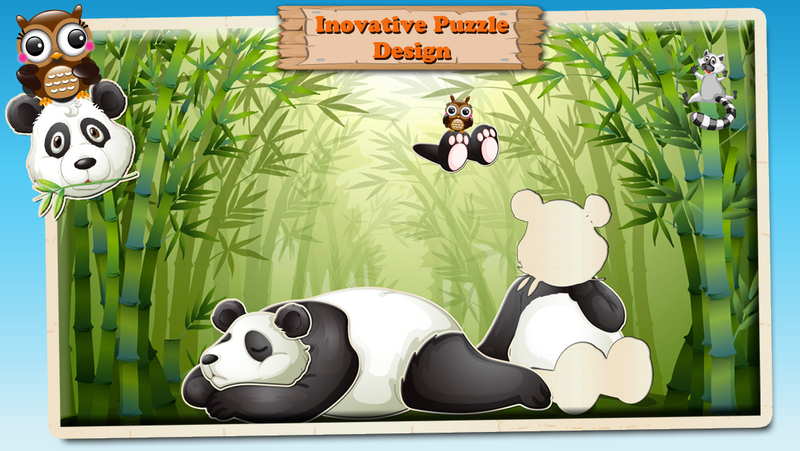 Beautifully designed animals and an innovative puzzle design really turn this animal puzzle into something quite special. The jigsaw pieces are brought directly to the puzzle by little tiny owls and then it’s up to the child to place them in the right position. A raccoon shows the child the progress they have made with the puzzle. 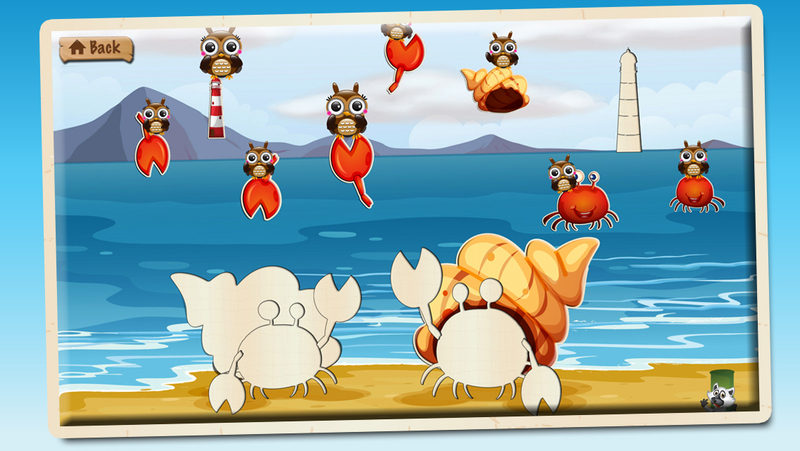 Each time a piece of the puzzle is put in the right place, the raccoon climbs a step higher until he reaches the top and slides down to the air balloons. 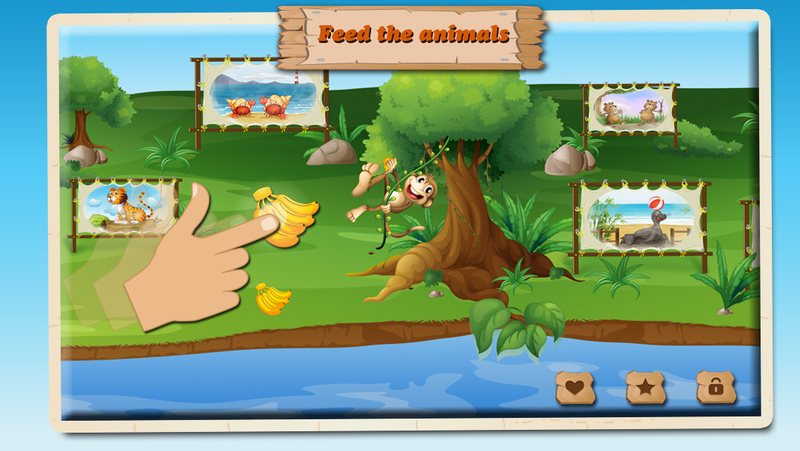 These air balloons happen to contain food (honey, bananas and meat) which can be fed to three different animals (bear, monkey and lion). 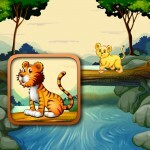 You also have the chance to collect more jigsaw pieces and create a large puzzle with all kinds of animals.